Judas Priest has landed their highest-charting US album ever with “Firepower” as the project debuts at No. 5 on the Billboard 200. The group’s eighteenth studio effort earned opening week sales of 49,000 units, of which 48,000 were in traditional album sales, according to Nielsen Music. The feat bests Judas Priest’s No. 6 showing with 2014’s “Redeemer Of Souls” and marks the band’s best US sales week since 2005's “Angel Of Retribution” opened with 54,000 copies sold. The “Firepower” US chart news mirrors the group’s success at home, where they debuted at No. 5 to score their first UK Top 10 album in 38 years. The metal icons recorded the set last year with producers Andy Sneap and Tom Allom; Sneap has joined the band’s touring lineup in place of guitarist Glenn Tipton following news of his battle with Parkinson’s Disease. 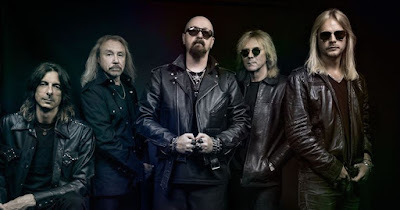 Judas Priest are currently playing dates on a spring tour of North America.